WooCommerce Documentation is an extension for WooCommerce based on the Documentation plugin for WordPress. 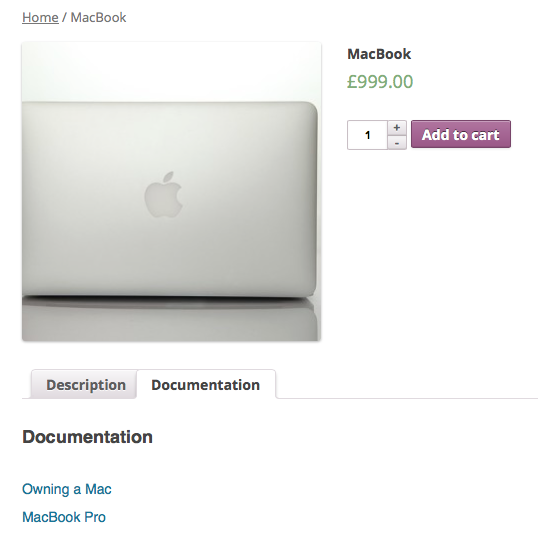 It allows to link documentation pages to products and display them automatically on the product pages. 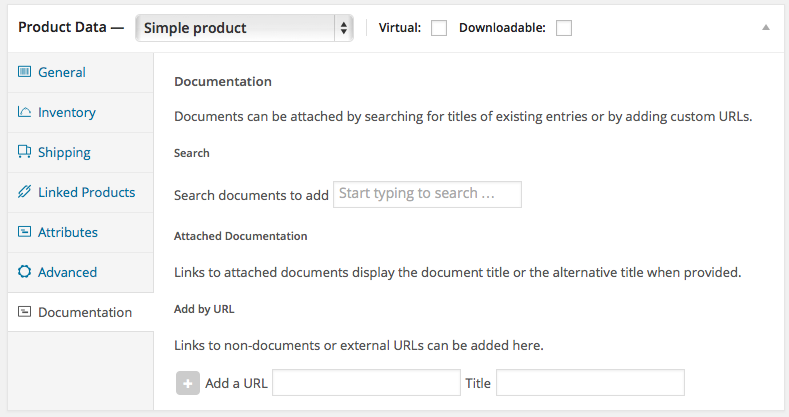 A new Documentation section in the Product Data area allows to link to documents and URLs. A dynamic document search facility makes it easy to locate documents from large documentation pools. Documentation links can be displayed for products automatically, as a Documentation product tab, using a widget, shortcodes and API functions for use in templates. 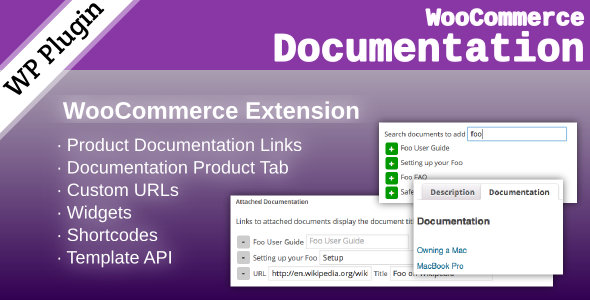 Get the WooCommerce Documentation extension.